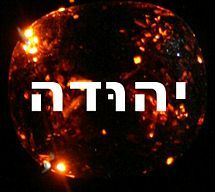 Calcol (Hebrew: כלכל, Kalkōl; "Name means::sustenance") (b. ca. Born::2357 AM) was the fourth named son of Zerah and a minor clan leader in the tribe of Judah. The Bible says nothing of the date of Calcol's birth. This date is estimated at three years after the birth of his brother Zabdi but could have been later. Persistent secular legends from Greece and Ireland, including the Harmsworth Encyclopedia, identify Calcol with Cecrops I, founder of Athens. Harmsworth also suggests that Cecrops founded Athens around 1700 BC. Assyrian records suggest a westward migration of the alleged descendants of Calcol along the shores of the Mediterranean Sea, establishing "Iberian" (Hebrew) trading settlements. One settlement now called "Zaragoza" or "Saragossa", in the Ebro Valley in Spain, was originally known as "Zaragassa", meaning "The stronghold of Zerah." From Spain they continued westward as far as Ireland. The Iberians gave their name to Ireland, calling the island "Iberne" which was later abbreviated to "Erne", and subsequently Latinized to "Hibernia". The supposed date of the founding of Athens is six years after the entry of Zerah into Egypt, and Calcol is not likely to have been born in that year. Furthermore, James Ussher identifies Cecrops as an Egyptian, not a Hebrew, and says that Cecrops founded Athens in 2448 AM, during the Sojourn. In any case the Bible gives no direct evidence that the Zarhites, or any branches of that clan, abandoned the forty-year march of the Israelites and traveled to the Aegean Sea or the Black Sea (called the Euxine or Friendly Sea in those days) to found their own kingdoms. ↑ Ussher, James, The Annals of the World, Larry Pierce, ed. Green Forest, AR: Master Books, 2003, pgh. 167. This page was last modified on 4 December 2009, at 18:02.